MOSCOW, September 19. /TASS/. 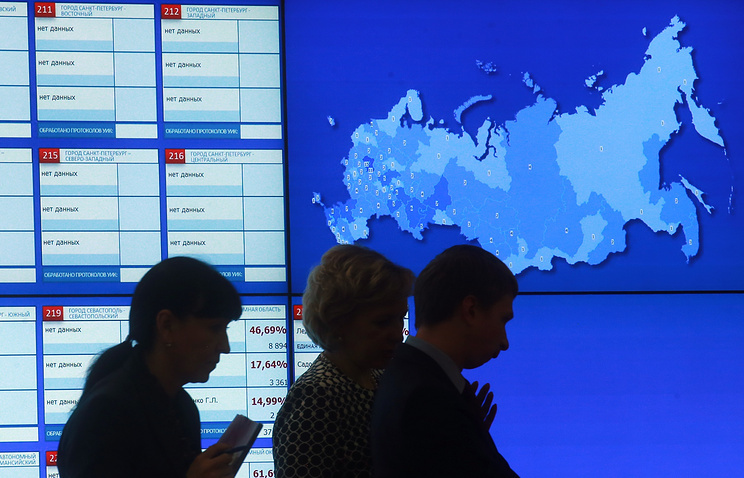 The United Russia is going to receive 343 mandates for 76.22% of seats in the 7th State Duma according to preliminary results of the Central Election Commission (CEC). The United Russia will receive a total of 343 mandates (76.22% of seats), the Communist Party (CPRF) gained 42 mandates (9.34%), the Liberal Democratic Party (LDPR) - 39 mandates (8.67%), A Just Russia - 23 mandates (5.11%), Rodina, Civic Platform (Grazhdanskaya Platforma) and independent Vladislav Reznik - gained one mandate each. 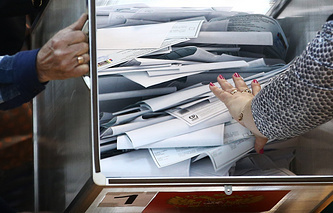 The voter turnout at the elections to the State Duma stands at 47.81% after 93% of ballots were counted. Elections to the State Duma, Russia’s lower house of Parliament, were held on September 18 in a split system: 225 members of parliament were elected by party tickets, while the other 225 were elected in one-seat constituencies. More than 111 million people were eligible to vote in the election and no minimal turnout was required. On the same day, 39 Russian regions went to the polls to elect their legislative assemblies, direct elections of top officials took place in seven regions. Besides that, around 5,000 municipal elections were also held.